Arun Jaitley criticised the Congress after the opposition party announced in its manifesto that if voted to power, it will review the AFSPA that gives a degree of immunity from prosecution to security forces deployed in "disturbed areas". 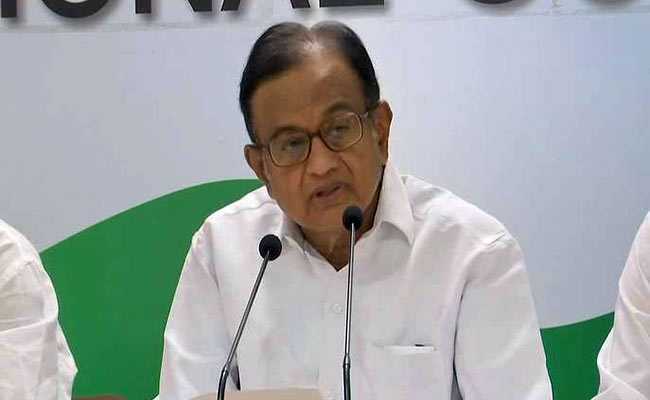 P Chidambaram alleged that there is a "flip flop gang" in the ruling BJP. Mr Jaitley had criticised the Congress on Tuesday after the opposition party announced in its manifesto that if voted to power, it will review the Armed Forces (Special Powers) Act that gives a degree of immunity from prosecution to security forces deployed in "disturbed areas". In a series of tweets, Mr Chidambaram also asked Mr Jaitley whether he supports "enforced disappearance, sexual violence and torture", the allegations which are common in areas where AFSPA is in force.